Here's a picture of what we have ahead of us today. 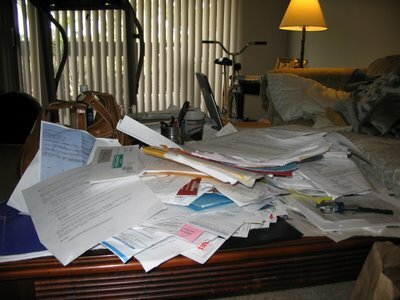 The wife and I are going through all our paperwork and class notes and having a shredding weekend. We're moving this Friday from Monterey, CA to Memphis, TN. We're just getting our paperwork in order prior to the movers getting here on Tues and Wed. So far we've discarded/shredded four full bags worth of documents. 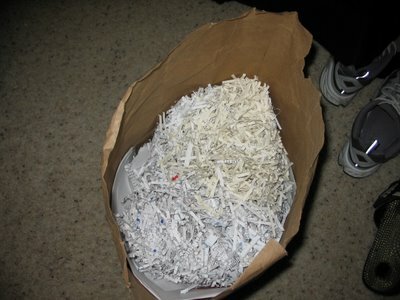 Here's a picture of "some" of the victims (papers) we'll have fun (LOL) going through today.